Brutus's favorite toy always made him feel better—so when his little brother Kayden wouldn't stop crying, Brutus was sure the toy would help him too. 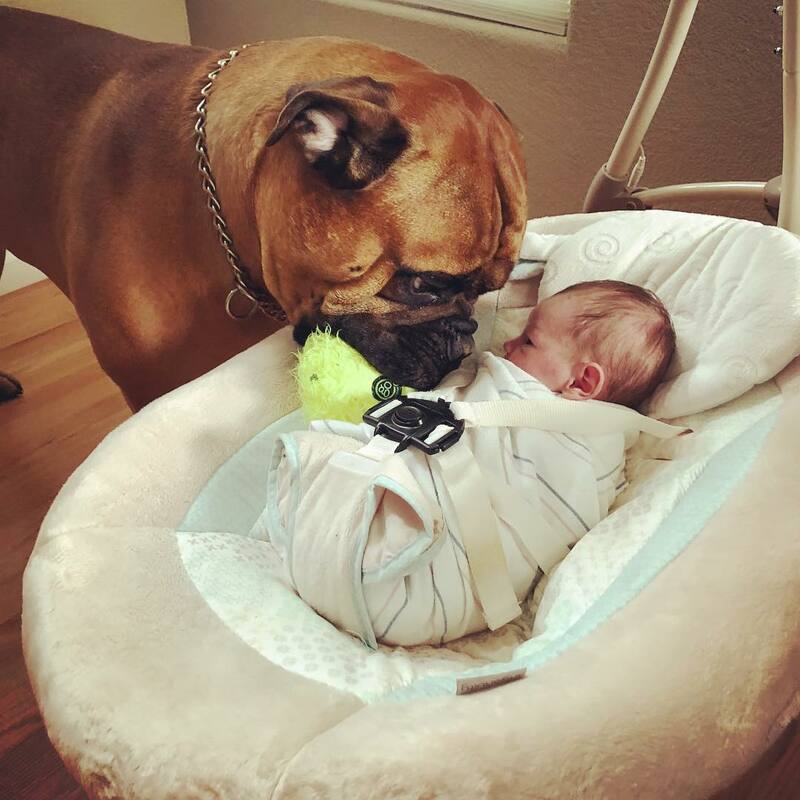 This dog saw that the baby was crying non-stop.. Some dogs have an uncanny ability to sense our feelings and even acted accordingly if we are feeling down. 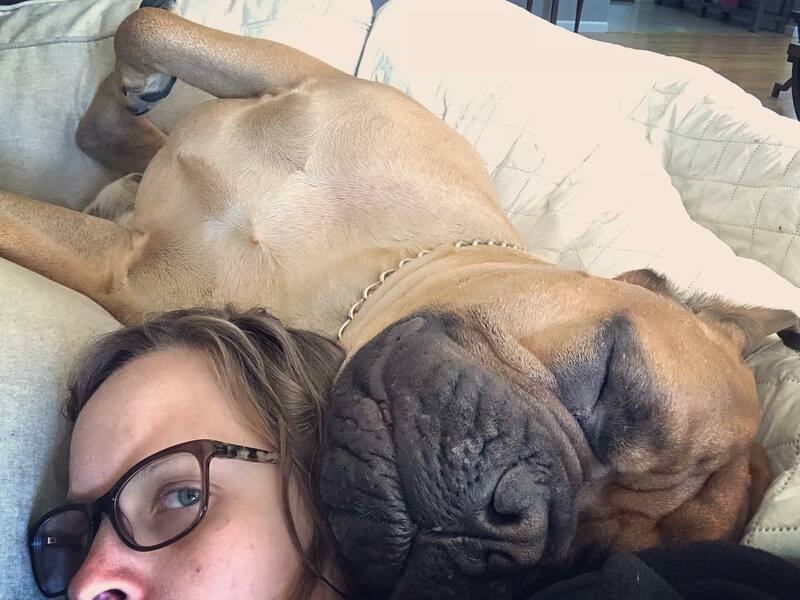 A Bull-mastiff named Brutus, is just like that. Brutus was adopted by Bonnie Michalek and her husband back in 2016 and enjoys spending time with his family. 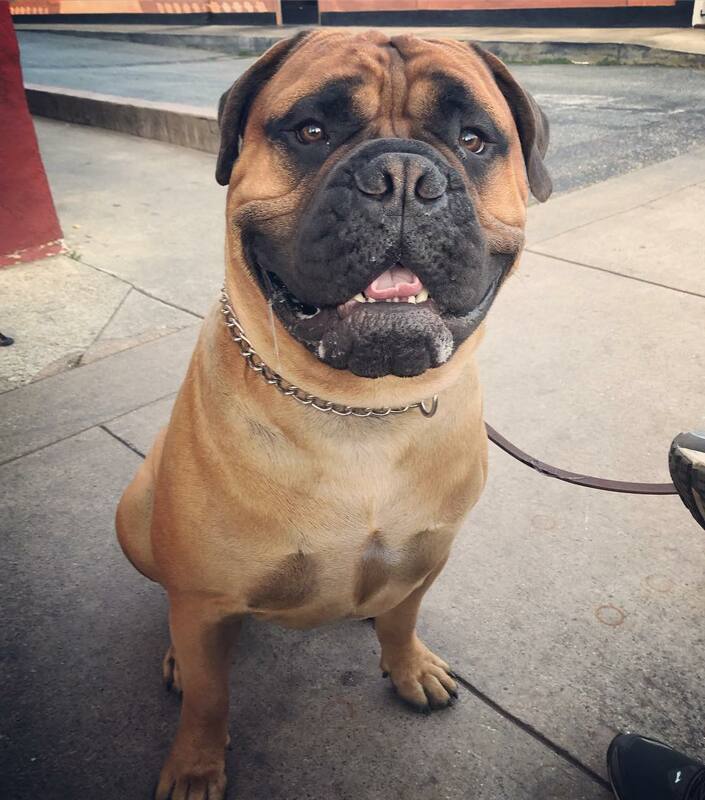 Brutus does not fit the typical stereotype of a bull-mastiff, as he is actually a gentle giant and adores especially Bonnie. When Bonnie got pregnant with her first child, Brutus had sensed it immediately even before she realized it. Brutus became more protective of Bonnie, and even refused to stay in his crate when her husband was out working late. At first, Bonnie thought that Brutus was simply being clingy but later understood that he was trying to protect her. Bonnie also knew that Brutus adored children and knew that he would be a good big brother to her new baby. 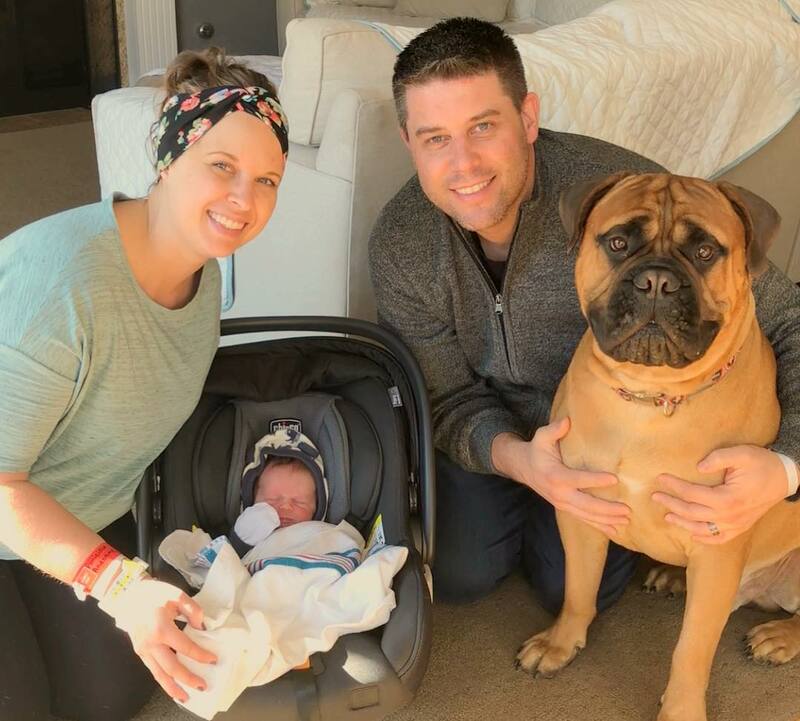 When the baby was due, the couple brought Brutus over to their mother’s house for a few days until their son was born. Bonnie soon gave birth to their son, whom the couple named Kayden. 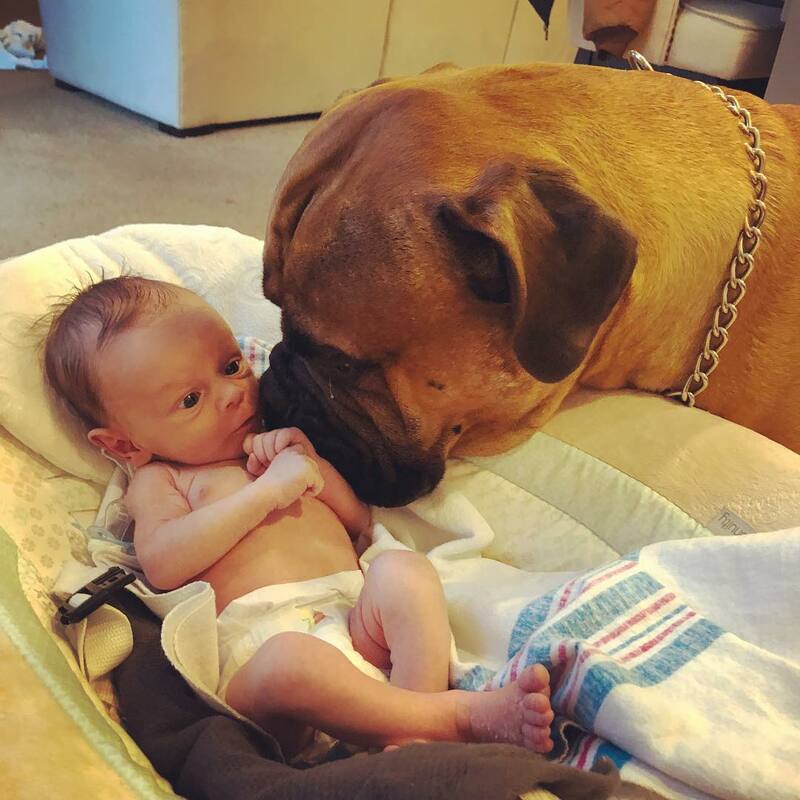 As soon as Brutus noticed Kayden’s presence in the nursery, he immediately fell in love with him and became his protector. Whenever Kayden cried, Brutus would worry and wanted to do something to comfort him. Then one day, Kayden started crying again and Brutus decided to try to comfort him. He brought his favorite toy to Kayden’s bed and gently placed it near him in an attempt to comfort him! The couple saw this and were pleasantly surprised by Brutus’ kind attempt to comfort Kayden. Now every time Kayden cries, Brutus would bring him his favorite toy to comfort him! Brutus is now anticipating for his first vacation with Kayden and the rest of his family.